I want to take this moment to wish everyone a very Merry Christmas. I want to thank you for reading my blog, whether you catch it each week, or if a particular topic catches your interest. 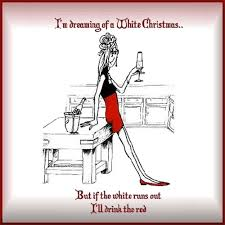 For this week’s blog, I thought I would pass along some fabulous wines you can enjoy over the holidays whether you like white or red. Like this amazing Sancerre from France that I tried recently. I fell in love with crisp beauty that is Sauvignon Blanc done to perfection. The gorgeous citrus flavors and minerality make it a perfect wine for appetizers, for salads or just for enjoying on its own. It would also be a great wine for the turkey dinner. 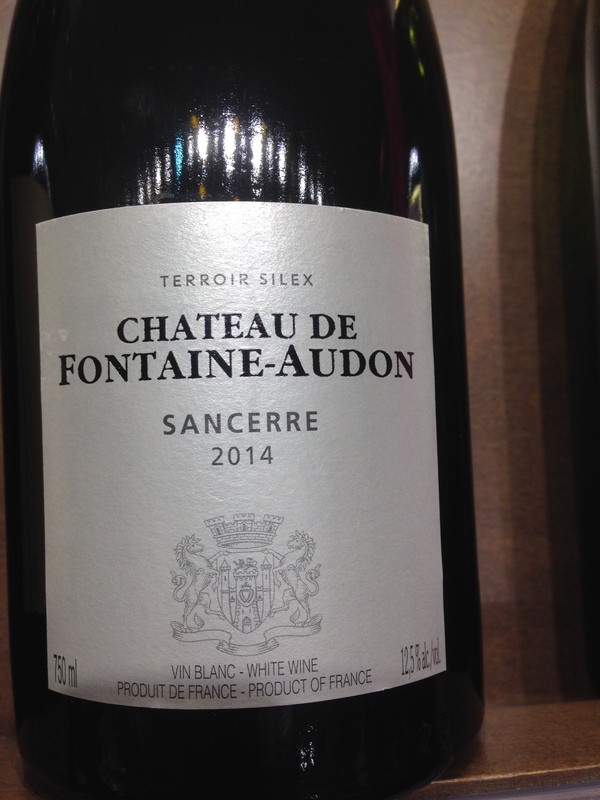 The Chateau De Fontaine-Audon Sancerre is my new December love! I was wrapping presents the other night, and I had the Christmas lights on and the tunes going…. and it was the perfect opportunity to enjoy this red wine. This was my favorite new find last week. The Carne Humana Napa Valley Red Blend comes from the same people who brought us the Elouan Pinot Noir from Oregon that I wrote about a couple of weeks ago. Remember I said it was made by California winemakers? 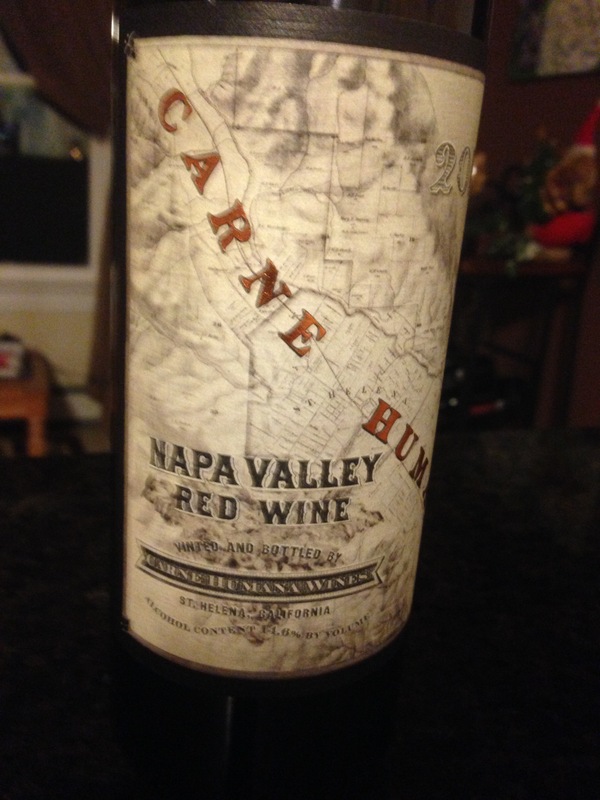 Well those winemakers also made the Carne Humana which is a very interesting blend of Petite Verdot, Petite Sirah, Zinfandel, with definitely some Cabernet Sauvignon. 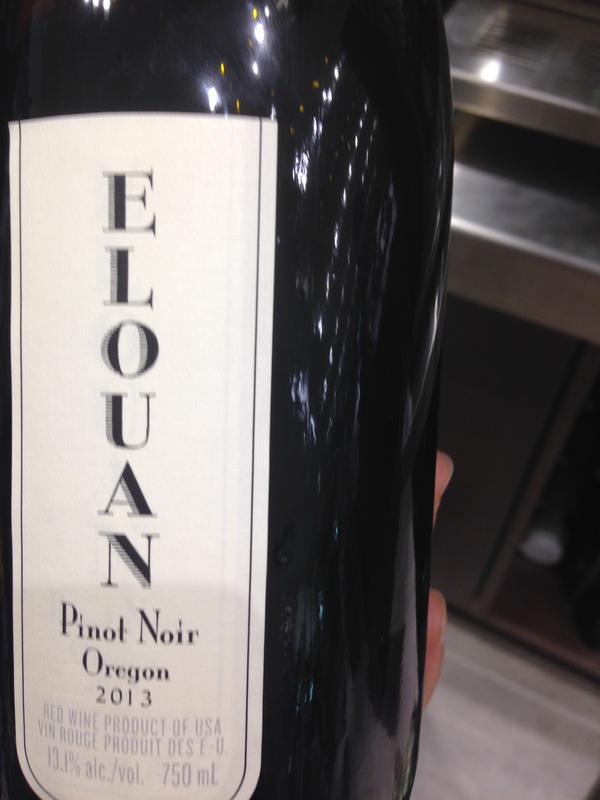 Named after the 1841 Upper Napa Valley land grant, this is a gorgeous wine has some of the best fruit flavors. I tried to describe this wine to a colleague and I used the words clean and crisp, which is not normally how a red wine is described. And although you will get cedar, licorice and cinnamon flavors, nothing over-powers that fruit. Great Christmas present to myself. The previous two wines are between the $35 and $40 mark, and if that’s a little pricey this season, here a good deal for under $15. 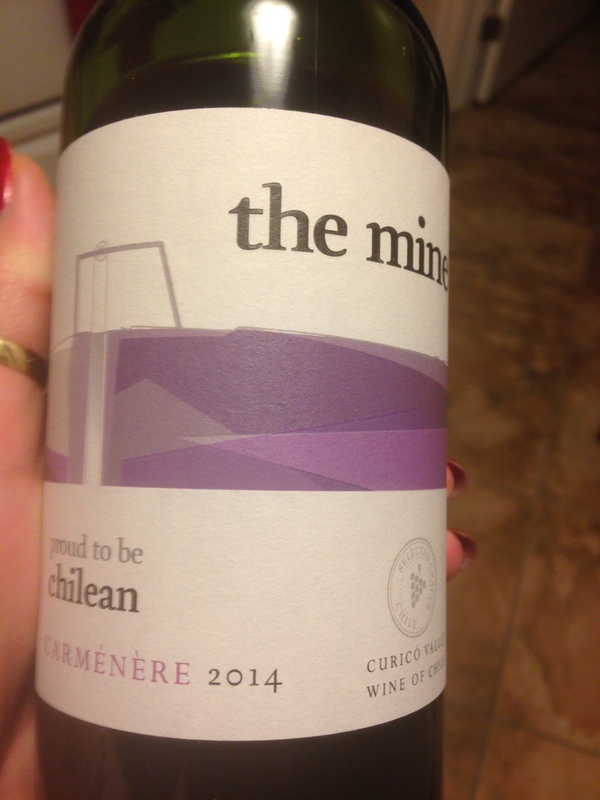 The Mine Chilean Carmenere is bright and easy to drink. A medium bodied wine with flavors of cherries, plums and pepper. 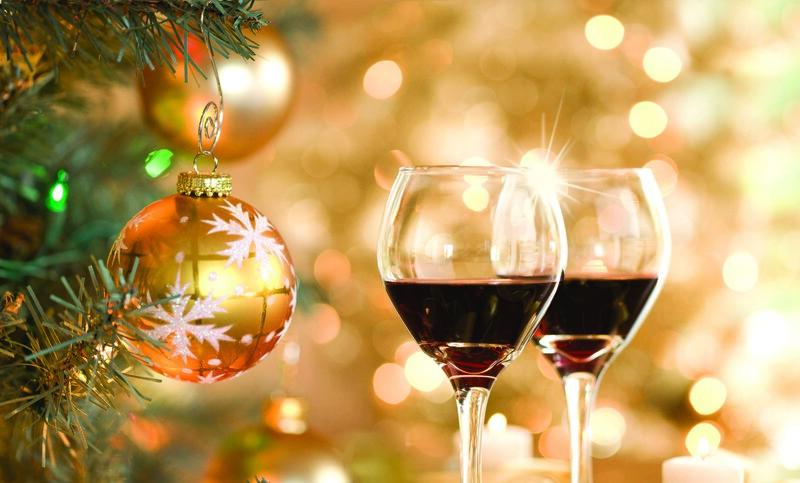 This wine is one you can enjoy guilt free over the holiday season. 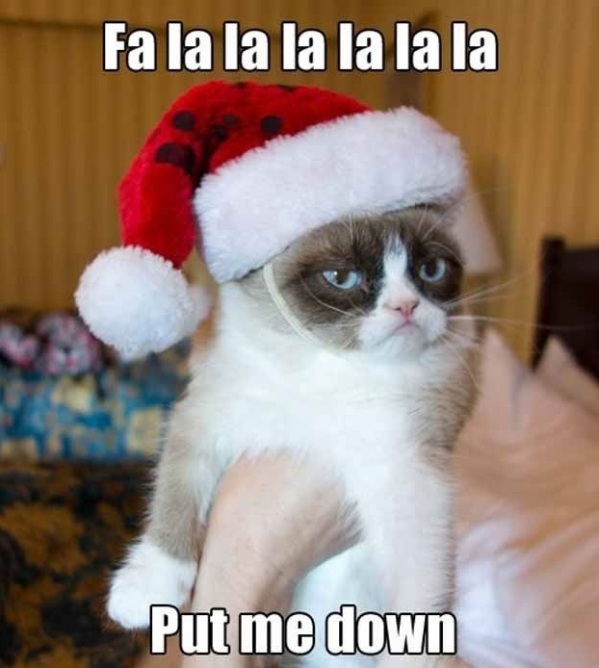 I do love me Grumpy cat at Christmas, so I had to include one of her pictures. My wish for you is a safe and happy holiday season. Thanks for sharing my wine journey with me. Please drink responsibly this Christmas. Coming up soon I will be taking a look at my 2015 favorites. This entry was posted on December 19, 2015 at 2:42 pm and is filed under Wine. You can follow any responses to this entry through the RSS 2.0 feed. You can leave a response, or trackback from your own site. Great post just seen you have signed up on my wordpress account but its not the right site, check out everyglassmatters.com to subscribe. thank you and happy drinking!